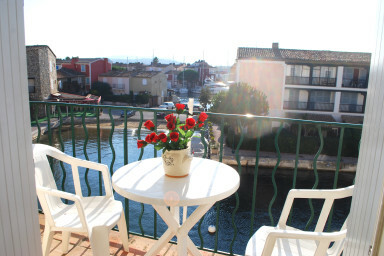 Nice and quiet apartment in the heart of Port-Grimaud on the market place, close to the shops and restaurants. It is composed of a living-room with a sofa-bed, an open kitchen and a balcony, a nice bedroom with a large bed and a bathroom with toilets. The apartment has a beautiful view on the canal. A parking space on the main parking. - bed linen and towels are not included but can be rented in addition.